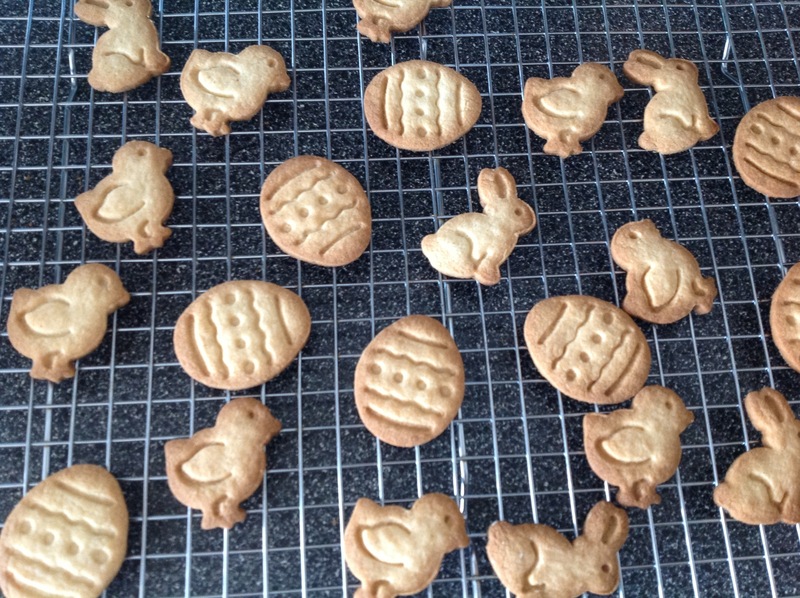 a couple of weeks ago, i had been fooling with a recipe for old fashioned animal crackers, you know the kind that come in the cardboard box and taste of vanilla, mace and nutmeg. yum! well, i think i figured it out! 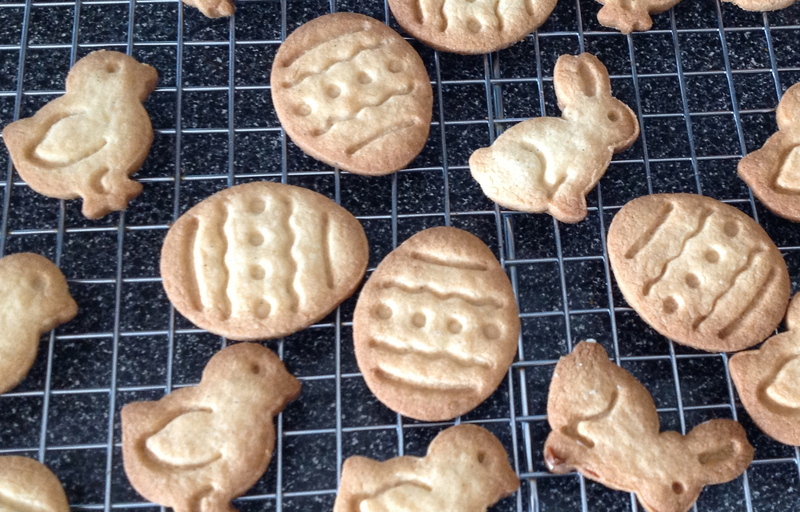 so, to keep myself busy, i decided to give the recipe a second test run. 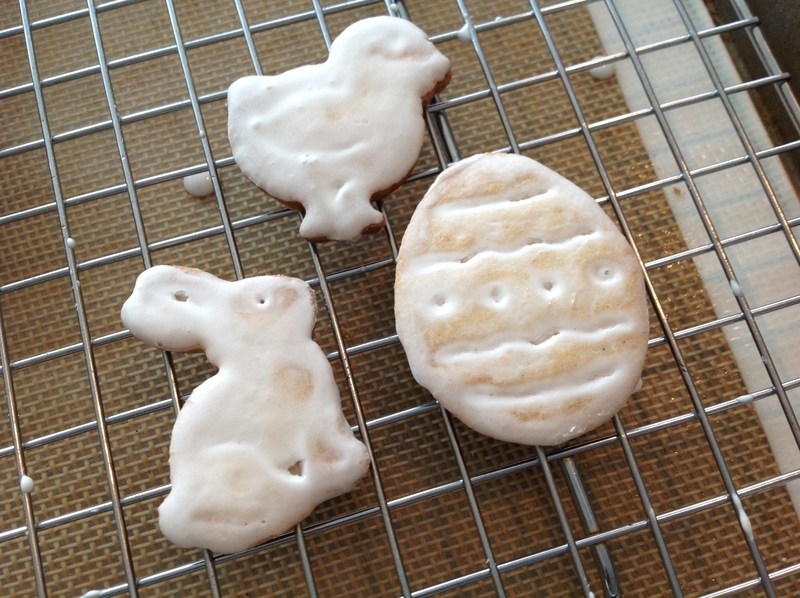 i used my brand new bunny, chick and egg plunger cutters in keeping with the holiday. 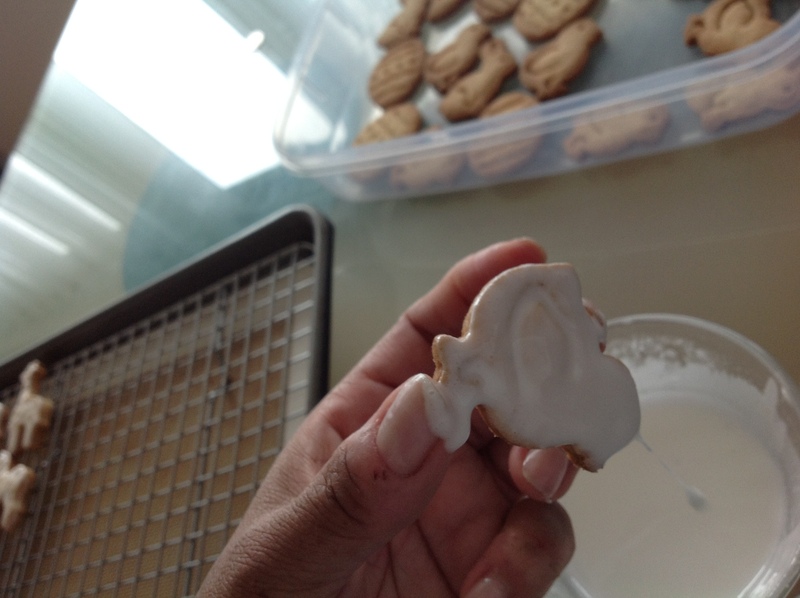 i also whipped up some royal icing for glazing some of the cookies. 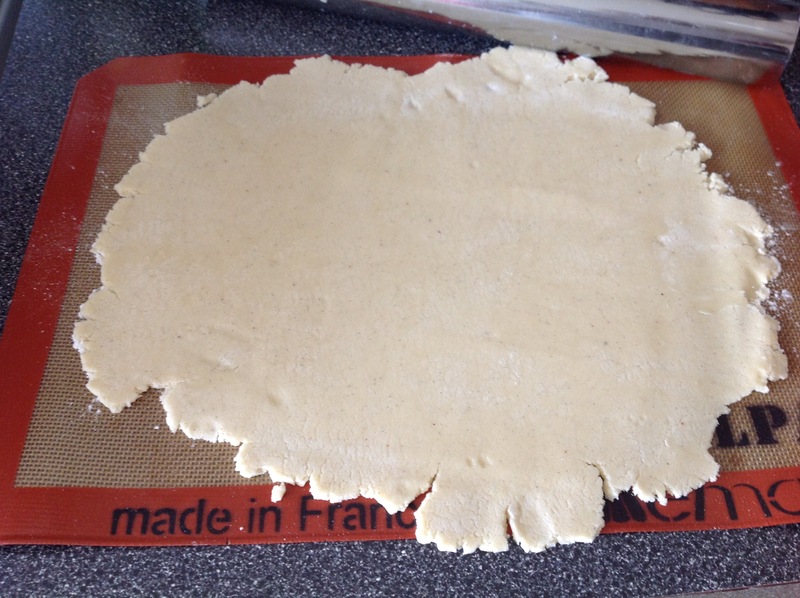 Turn the dough out onto a work surface and divide into 4 equal balls. Shape each into a disk and wrap separately in plastic wrap. Refrigerate for at least 2 hours or up to 2 days. 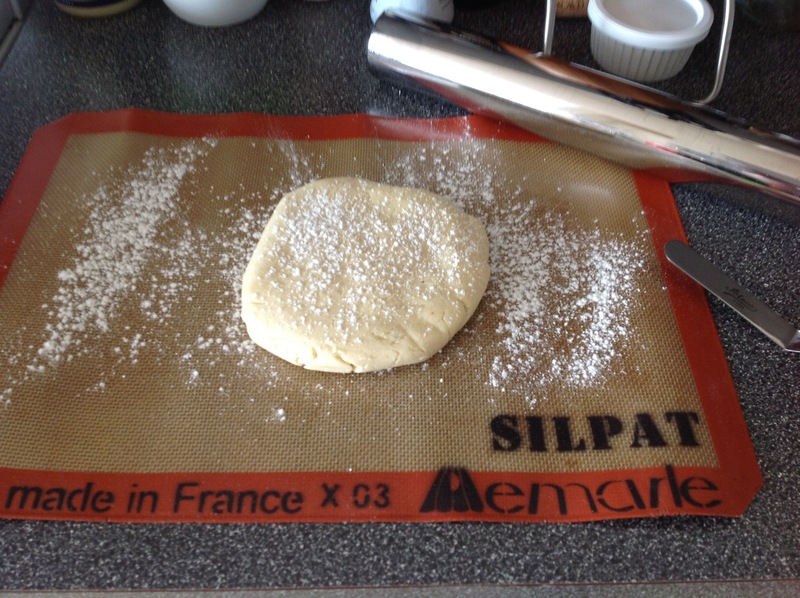 Line a baking sheet or half sheet pan with a Silpat or parchment paper. 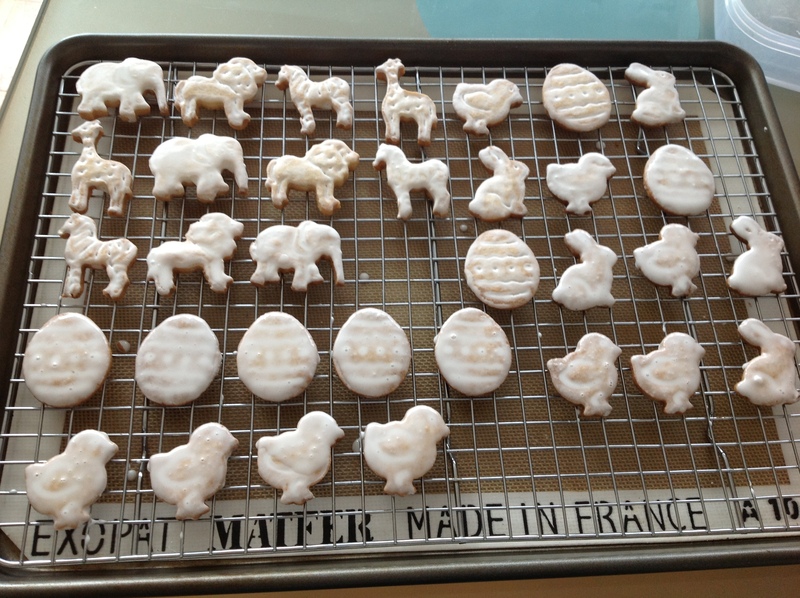 Dip the cookie cutters into flour just before using and cut out the shapes. Gather up the scraps, reroll and cut out more cookies. 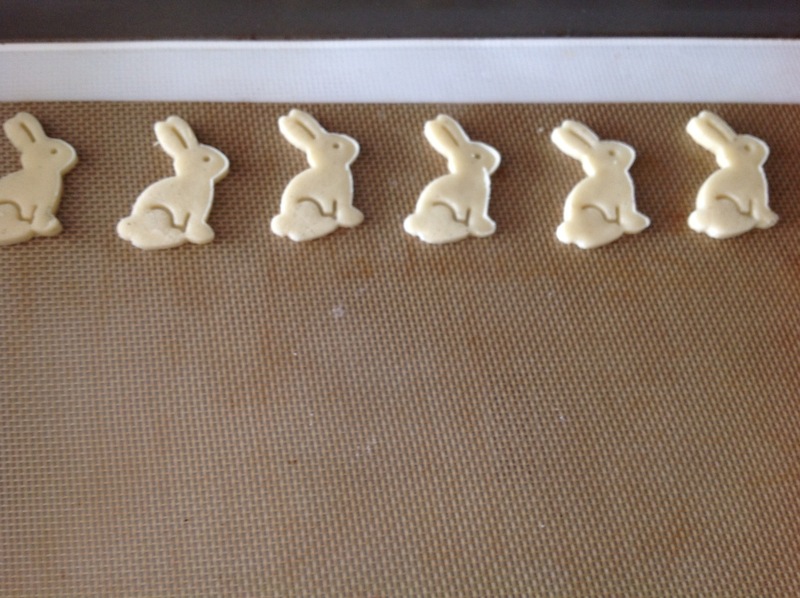 Bake the cookies until very light golden brown, 13 to 15 minutes. 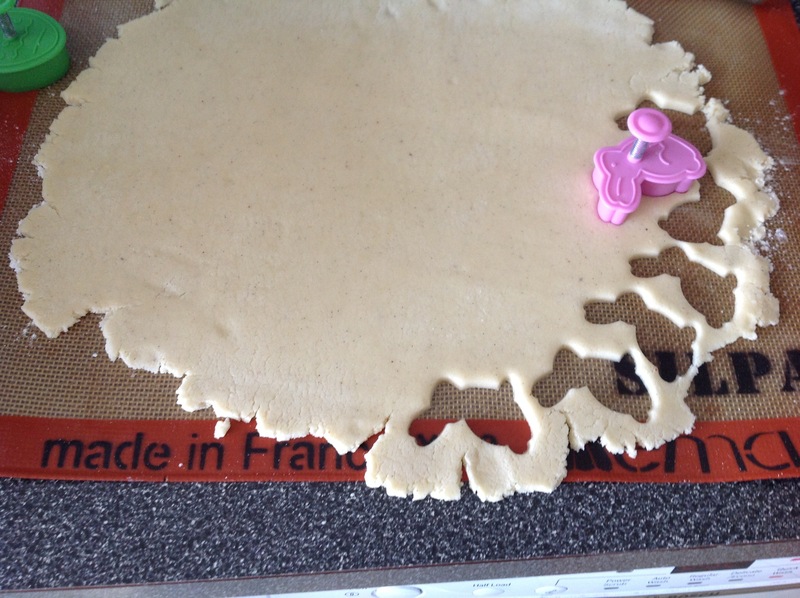 Transfer the baking sheets to wire racks and let the cookies cool to room temperature. 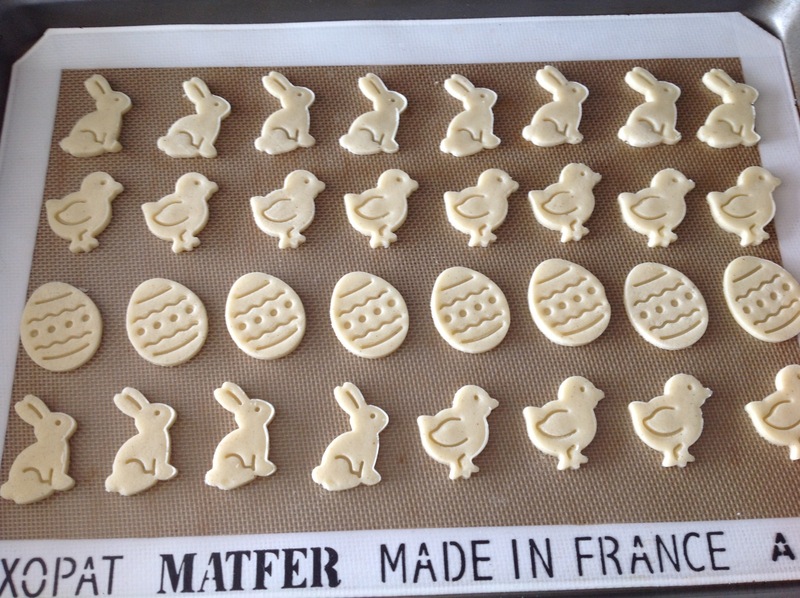 One dough disk makes about 24 cookies.